Our hero confronts a large and varied cast, including Wackford Squeers, the fantastic ogre of a schoolmaster, and Vincent Crummles, the grandiloquent ham actor, on his comic and satirical adventures up and down the country. Punishing wickedness, befriending the helpless, strutting the stage, and falling in love, Nicholas shares some of his creator's energy and earnestness as he faces the pressing issues of early Victorian society. Nell is on her way home to the dusty shop where she and her grandfather live a rather mysterious life. The old man disappears every night -- visiting gambling dens with the naive hope of winning a fortune. Instead he sinks deeper into debt. The story of a young man's adventures on his journey from an unhappy and impoverished childhood to the discovery of his vocation as a successful novelist. 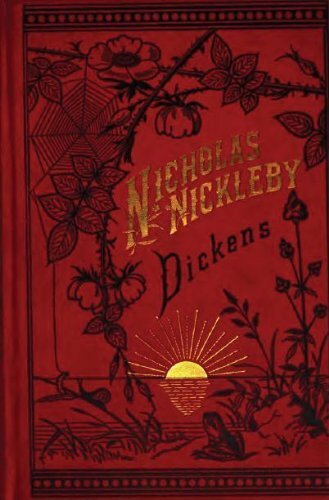 Dickens drew revealingly on his own experiences to create his enduringly popular work.